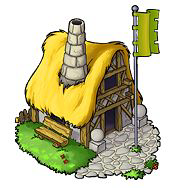 Description: The world of Travian is a dangerous place and you need to be able to defend yourself. The best additional defence is offered by strong allies. Construct an embassy in order to join an alliance. How to do this task: Go to your inner village and click on the empty green spot. Once there, look for the embassy in Infrastructure tab. Text upon completion: Perfect, now you can accept alliance invitations. Invitations can be found inside the embassy.